One dynamic I have noticed with XP = GP spent is that there is a great incentive for players to spend money primarily on short and medium term goals. This is largely positive, in terms of gameplay, as it results in PCs spending their GP quickly to gain levels, and thus needing to get back to adventuring to get more GP, which is a virtuous cycle from the perspective of generating adventure. 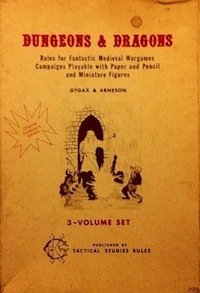 However, there is an implied endgame in many versions of D&D where adventurers build strongholds, accumulate followers, and possibly transition into a game of domains. Where do the resources for building a stronghold come from if adventurers continually squander recovered treasure? One could abstract this process, simply granting adventurers a stronghold at sufficient level, or expect players to think ahead, saving GP as necessary. 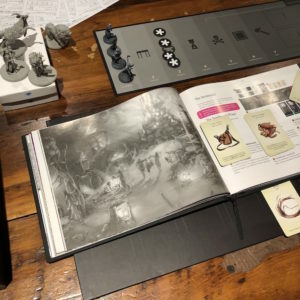 In any case, most campaigns end far before adventurers attain such elevated levels, so an alternative and perhaps more practical approach would be to integrate domain game systems into lower levels. Exploring this idea, I see an opportunity to both ground such as system in the party as aggregate, rather than the individual adventurers, and perhaps build the entire advancement system around the creation and development of adventurer bases. That is, rather than gaining levels from accumulating XP from killing monsters, recovering treasure, or completing quests, why not gain levels based on establishing strongholds? Mechanically, the highest level of stronghold possessed by the adventuring company could determine individual adventurer level as well. That is, to attain second level, the party must purchase a company clubhouse. Even if one were not inclined to push the idea that far, systematizing and simplifying the implied domain game in a way that is accessible to adventurers of all levels may be useful. Adventurers possess their own private space in a haven. A hideout is a small, unobtrusive lair liberated from forces hostile to civilization. Lawful hunters, trappers, and other travelers help ensure that the hideout is self-sufficient and provide regular news and exchange. An outpost is a fortification liberated from forces hostile to civilization. Once liberated, an outpost starts to acquire some trappings of civilization, including some permanently resident tradespeople. However, the area remains too isolated or dangerous for lawful settlers to call home permanently. Settlements are small, fortified villages. A settlement is stable enough to attract enterprising settlers seeking opportunity or a new start. Adventurers must go through each step in sequence. Think of the collection of bases as an umbilicus stretching from civilization into the unknown. A hideout, for example, will only be self-sufficient through connections with the clubhouse in town. For this reason, adventurers retain all bases as they expand outward. As the adventurers grow in reputation and stature, they naturally accrue a retinue and staff which enables and lives off the exploits of the company. The details of such organization may remain relatively abstract in terms of costs, though stewards, resident craftspeople, and so forth could be drawn from personages encountered by the adventurers during the game, such as rescued villagers or converted bandits. What about adventurer death? New adventurers begin at level one, increasing one level for each session survived until they reach the current company level. Or, if that is too much bother, players could just make a new adventurer at the current level. Such parvenue adventurers would still need to accumulate gear and renown in the eyes of players. This entry was posted in Rules on May 2, 2018 by Necropraxis. Damn it, this is good stuff. I’ve been trying to come up with pre-stronghold concepts, but you’ve really laid it out. If you use this approach, or something similar, I would be interested to hear how it goes.